Enjoy some of the finest kickboxing NY has to offer at a series of great gyms throughout the state! Burn tons of calories as you receive instruction from top-class instructors. Find out today why kickboxing has been sweeping the nation! State-of-the-Art Kickboxing in New York! A state-of-the-art kickboxing studio in New York, Punch Fitness Center offers effective one-on-one training that's suitable for people of all ages and skill levels. Founded by former kickboxing champion Adelino DaCosta; Punch is the perfect facility for you to begin your martial arts journey, achieve fitness goals, and strengthen your mind. In addition to kickboxing; Punch offers boxing, Capoeira, weight training, certified personal trainers, massages, and a cardio machine room. Sign up today! All you need to do is fill out the information form on the website and representative will get back to you shortly. Learn Kickboxing and Become A Pro! Kickboxing is a fun and exciting way to exercise, you can lose weight faster compared to an average exercise. Also you get to be flexible, have an increase in agility and strength, so learn kickboxing from the best. 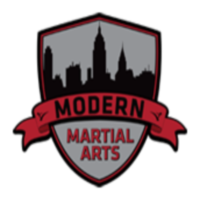 Modern Martial Arts NYC is a great place in New York, where they offer kickboxing classes for everyone. Whether you're a beginner or an expert, they will train you to improve and perfect your skills in kickboxing. You will be trained by the best, with instructors who are highly experienced and have a black-belt in martial arts. You will definitely learn from the best. Keep Your Body In Shape With Kickboxing! Kickboxing burns more fat compared to an average work-out. Here at Moon S Lee Evolution Martial Arts they offer fitness programs for kickboxing. Your trainer will be with you all the way, to facilitate you on your training. The Gym is for everyone who wants to learn the skills of martial arts and who wants to learn self-defense. Join the fitness kickboxing program, where you will undergo intense yet fun training. Register today at Moon S Lee Evolution Martial Arts located at 43-08 Broadway, New York or contact them through their phone or visit the website. Learn Kickboxing And Build Confidence! Kickboxing is a great workout, where you will not just enjoy the intensity of the workout itself, you will also learn to be disciplined and build self-confidence. 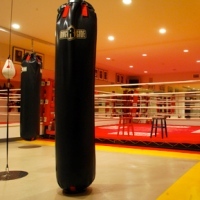 Kickboxing Classes NYC is one of New York's premier fight gyms that specialize in kickboxing. The trainers are among the best and have a black-belt in martial arts. During the intense work-out, you will be supervised and coached in the ways of kickboxing. In time you will learn kickboxing yourself. Kickboxing Classes NYC is the place to be in New York, where it is a center for training and discipline. Register today at Kickboxing Classes NYC and learn the art of kickboxing. New York's Premier Kickboxing Gym! 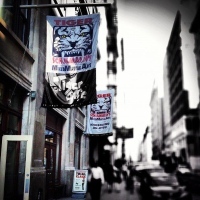 Learn from the experts in kickboxing at Tiger Schulmann's MMA Manhattan. They offer programs for beginners and experts who want to learn and perfect kickboxing. It is the place to be where they train you to become fit, healthy and confident. They also train you kickboxing for self-defense reasons, it is a great way to fend off potential attackers. They train you to be disciplined and teach fighting techniques necessary for self-defense. Tiger Schulmann's MMA Manhattan is a place where you will become a fighter and a champion, you will learn self-defense and discipline. Overall their kickboxing is a program that helps you live healthy. Learn Kickboxing As A Healthy Alternative To Usual Exercise! World Martial Arts Center offers kickboxing classes where you can learn the methods and techniques of kickboxing as a way for keeping in shape and living healthy. Kickboxing at World Martial Arts Center is taught by Carol Glasgow, an expert in kickboxing who has undergone 15 years training in martial arts and has been teaching kickboxing for about 10 years. You will be trained to be an expert in the art of kickboxing and in time you will grab hold of the skills and techniques of kickboxing. So learn kickboxing today at World Martial Arts Center and be trained by one of New York's elite kickboxing instructors. Learn The Intense Art Of Kickboxing At NY San Da! Learn more about kickboxing at NY San Da, where their trainers are experts in the field of kickboxing. Register at NY San Da today and learn the art of self-defense. Learn Kickboxing From The Best In New York! 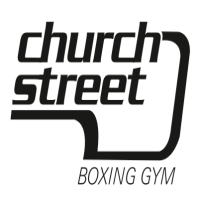 Church Street Boxing Gym is one of the largest fight gyms here in New York. It houses a state of the art facility and is complete with equipment perfect for training and definitely a great place for kickboxing. The gym takes pride in its well experienced and skillful trainers who are experts in kickboxing and have experience in the ring. When you train at Church Street Boxing Gym, you train with the best and become a great fighter yourself. So enroll today at Church Street Boxing Gym and learn the art of kickboxing. Intense And Fun Kickboxing At CKO Williamsburg New York! Have fun working-out with kickboxing, and in the process you will burn more fat compared to your usual work-out. Kickboxing is a great complement to your lifestyle, it helps you build more muscles and keep them well toned. Also it is a perfect way to relieve you from stress. 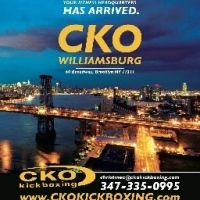 CKO Williamsburg opens its doors to everyone, where they can learn kickboxing. Whether they are beginners or experts in kickboxing, they can train and learn at their own pace. So avail the great kickboxing program that CKO Williamsburg has to offer to you, so you can learn to live healthy and learn to be a fighter. An Intense Cardio Kickboxing Program at Martial Arts USA! Cardio Kickboxing is a combination of several work-out regimens, which includes aerobics and kickboxing. This type of work-out is a growing trend in the US, where many individuals are trying this work-out in order to have a perfectly fit and well-toned body. Martial Arts USA is the place to be, where they offer cardio kickboxing, that is intense and at the same time fun training, where you will lose all those calories and at the same time build muscles and increase physical strength. Enroll today at Martial Arts USA, a place in New York where you will be supervised and trained to be fit. Kickboxing Outdoors, A fun Way Of Working Out! If you're tired of the same routine of working-out, and want to try something new and just want to feel the fresh air while working-out, then you should come to Fitness Fight Camp where they offer out door work-outs here in New York. You will learn the techniques and discipline of kickboxing, also you will be trained by highly experienced and professional instructors who are dedicated to your learning and improvement of skills. Enroll at Fitness Fight Camp today and enjoy the intense kickboxing work-outs and keep your body in shape and fit. You can email or call Fitness Fight Camp for more inquiries and other offers.